ABUJA—THE crisis in the Social Democratic Party,SDP,appeared worse on Tuesday,as a faction loyal its Vice Chairman (South), Professor Tunde Adeniran, expelled former Minister of Information and National Orientation, Prof. Jerry Gana. The faction also expelled Chief Supo Shonibare,who was announced as the new national chairman of the party only on Monday,this week, by another faction backing Prof. Gana. 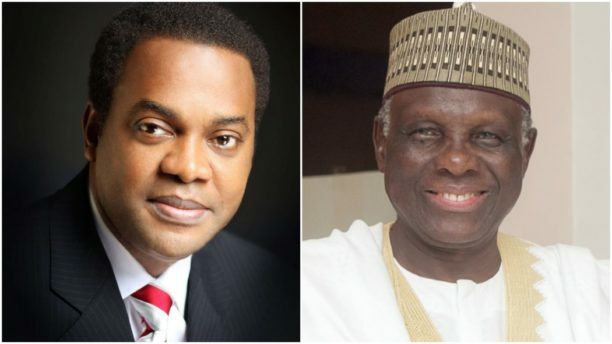 Also,the Adeniran backed faction announcd that the party’s presidential candidate in the Saturday’s election and former Cross River State governor,Mr Donald Duke,was placed on indefinite suspension. Addressing the media,at the party’s headquarters, Abuja, the National Publicity Secretary of the faction,Yemi Akinbode, while said Gana and Shonibare were suspended for alleged gross misconduct and anti-party activities. “It is imperative to let Nigerians know the divisive tendencies of Professor Gana,a man who wants to be the president of Nigeria, would descend so low by sponsoring some persons from some sections of Nigeria for anti-party activities along ethnic divides, promoting primordial religious bigotry. This is not befitting of a man who wants to be the president of Nigeria.